The United States is the world’s leading soybean producer and exporter. Tofu. That’s what most people think soybeans are grown for. 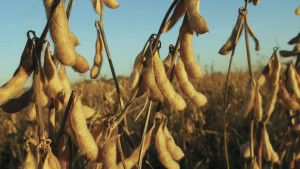 But most soybeans in the U.S. are grown for oil and livestock feed. It’s big business. America is the world’s largest producer and exporter of soybeans with almost 75 million acres planted annually. It is second only to corn, planted on roughly 84 million acres. The top ten soybean producing states are all in the Mississippi River watershed. You’ve heard of “King Corn”, well now there’s “Queen Bean”. Grain producers in the Midwest and their deep-pocketed lobbying groups such as the American Farm Bureau and The Fertilizer Institute are “skeered” they might have to buck up to EPA pressure to do more to keep their soil, nutrients, and pesticides out of the Mississippi River, which by the way, is the leading cause for the dead zone in the Gulf of Mexico – the second largest in the world. That’s why they recently sent a delegation of soybean growers to the Eastern Shore of Delaware and Maryland to find out just what our Chesapeake farmers are doing to help us restore the Chesapeake Bay. OMG…they might have to implement soil conservation measures! The Mississippi watershed is in blue, home to the top ten soybean states in the US. 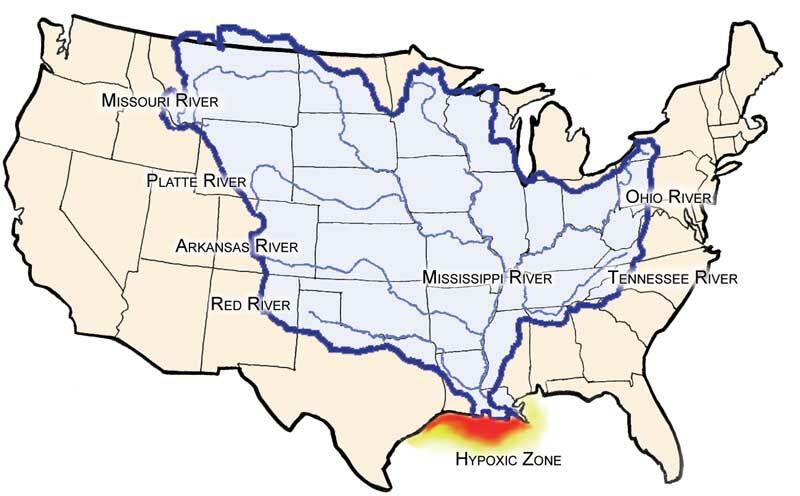 The “Hypoxic Zone” is the second largest dead zone in the world and is growing in size. I wrote an OPED piece for the Bay Journal News Service about it which was distributed on April 21st. Read the piece here. As with all annually planted crops, soil conservation and nutrient management are imperative to keep what farmers pay dearly for, fertilizer and pesticides, from leaching into groundwater or running off into nearby ditches, streams, and rivers. 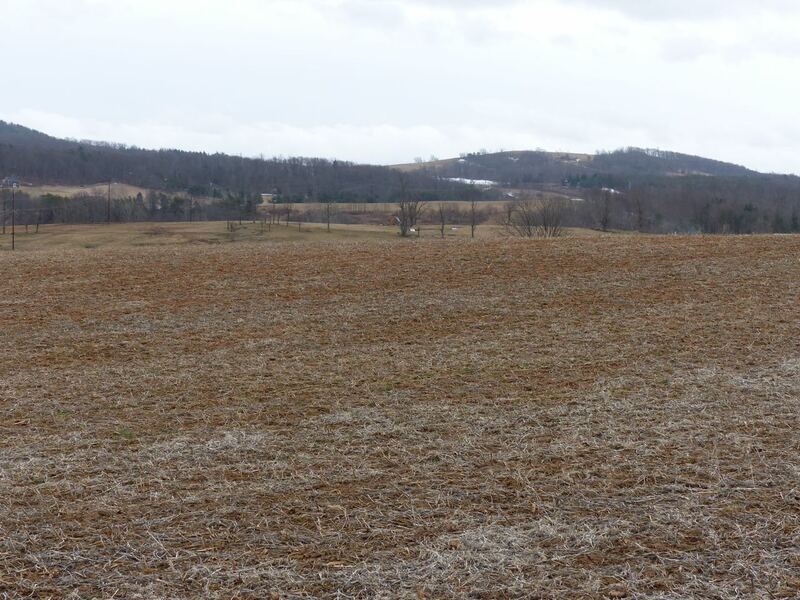 A soybean field in March. Fifty percent of the field is bare. Soybeans are especially vulnerable to both. The steeper the land, the more conservation practices are needed to prevent polluted runoff. Combinations of practices such as no-till farming, planting on the contour, cover crops, crop rotation, contour strip farming and nutrient management are very effective at preventing soil erosion and reducing water runoff. The simple practice of planting on the contour can reduce the likelihood of soil erosion in half. I have witnessed a lot of soil erosion from soybeans being planted on sloping fields. Here’s why they are vulnerable: beans are usually harvested late in the fall, which is often too late to plant winter cover crops. Soybean residue (what’s left after the bean is harvested) has a low carbon to nitrogen ratio and breaks down quickly leaving soil exposed to the impact of raindrops. Their residues (what’s left after the beans are harvested) have a low carbon to nitrogen ratio so it breaks down or decomposes much faster than corn stalks. This leaves a high percentage of the field bare. Bare soil through the winter is a recipe for disastrous soil erosion and runoff. It’s a simple fix: plant cover crops, reduce tillage and plant on the contour. 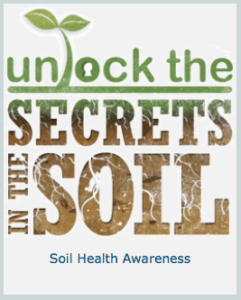 Learn more about soil health here. Click on this image to learn more. Thanks for educating everyone on the need for best management practices. I would just add that we need cover crops 24/7 in addition to no-till/minimum tillage. There are lots of farmers that have not bought into improving their soil health to the point of no erosion, no chemicals including synthetic fertilizers. I am glad you added the Soil health awareness link to the NRCS webpage. Thanks Rich! You are so right….we need to pump that soil full of carbon. My view always seems to the cup is half empty. Good that you are positive! Having got that out of the way I’ll offer my perspective. You have possibly stopped preaching and started meddling. Going up against big business is a tough thing to do regardless of whether it’s politics or the crop protection industry or fertilizer industry. Glad you are writing what you do. Keep it up. Good piece about the Queen Bean, Bobby, but the best news is about Val! Hope he/she is as smart as Dexter, and glad to have him/her going to the same herding “school” (Jeanne’s). Keep us posted. Keep meddling Bobby. One only has to look to West Africa to see the results of poor soil management. What once was fertile is now barren. Millions starving. I will stop now…. As always Bobby your articles are interesting and thought provoking. I find it awesome and very optimistic that delegates of the soybean industry in the Midwest are shadowing Mid-Atlantic farmers to educate farmers of the west the proper techniques to prevent nutrient runoff and soil erosion. This goes to show that efforts in the Chesapeake Bay watershed are working and establishing a footing for all who want to see excess nutrient and sediment levels in the bay diminish! I had no idea that soybeans had such a late harvest that it is too late to plant winter cover crops afterwards. The article mentions planting cover crops and planting on the contour as the simple fixes. Would you suggest contour strip farming, alternating strips of cover crop and soybean so the farmers can still produce soybeans but also reduce erosion? Jon, there are many ways to grow soybeans without the risk of soil erosion. One could plant shorter season beans so a cover crop could be planted. We use the Universal Soil Loss Equation to help us determine the right mix of BMPs to use so that there is soil building instead of soil erosion. Interesting read. You’ve pointed out clearly that collective soil erosion and runoff from these large-scale bean operations is directly linked to downstream eutrophication. We know that bare fields left over the winter have an impact on this erosion/runoff. We also know that these bare fields are caused by the rapid decomposition of the organic material after harvest due to a low carbon to nitrogen ratio in the residues. My question is whether it is possible for a major agriculture biotech company like Monsanto to develop a soybean that has a higher carbon to nitrogen ratio to counteract this decomposition and lessen the effects of erosion. Good question Preston. I would think they could. We have bred certain small grain varieties to have stronger stalks. First of all i was very surprised to learn that most soy beans are made for oil. I myself have tried to cut soy beans out my diet after learning how the “Queen Bean” is in almost all foods. As assumed it was very hard. I was also very interested to learn that the queen bean is the cause for most dead zones in the gulf, last semester i took an ocean biology class and learned in depth about dead zones. I really liked the fast that BMP’s can really help reduce the runoff. Its interesting to me that some farmers do not initially set up ways to prevent erosion. Less erosion would prevent at least some loss of fertilizer or other chemicals the farmer uses on his farm, so wouldn’t that save him money by not having to put as much down next season? At the ending statement you give very doable ideas to prevent the erosion and conserve the environment. Why do the farmers not do this as a standard? Not doing these practices seems selfish to me. By allowing the erosion, polluting the environment, and causing a dead zone these will all eventually come back to hurt the farmers. Its all part of an interconnected system. For example what if the dead zone starts working its way up the river? Another example could be if the soils are eroded and nutrient deficient it leads to another possible dust bowl issue that will damage infrastructure and other crop lands. I just feel like this is such a fixable problem, and am frustrated that people are so unwilling to put in the minimal time and effort to make such a large impact on the greater good. Kelli, you are so right. Good comment. I was very interested to learn that soybeans are not grown just for tofu but mostly grown for oil and livestock feed. I completely agree that we need to focus on teaching farmers how to practice soil conservation. I agree that it is important to plant cover crops, reduce tillage, plant on the contour and reduce the use of fertilizer so that we can prevent bodies of water, like the Mississippi and the Gulf of Mexico, from receiving polluted runoff. We need to protect our topsoil because at the rate erosion is occurring,future generations will have a hard time finding fertile soil to farm on. It’s extremely disappointing that legislation regarding best management practices and nutrient loading have not been implemented in the areas that drain to the Mississippi. However, it seems like there are simple solutions that could alleviate the main problems. 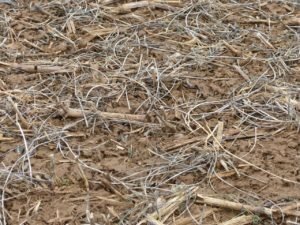 Things like no-till/minimum till practice and seasonal cover crops shouldn’t be too hard to implement and seem like relatively inexpensive options. On another note, it’s very interesting that soybeans are America’s number one crop grown and exported. You also mentioned that soybeans are mostly grown for fuel. Do soybeans yield more fuel by unit mass or volume than corn? I’m interested in knowing why corn is not viewed by many as a viable fuel source but soybeans are. Professor, I’m glad to see that someone is trying to spread knowledge about a large problem. America allows soybeans to grow on 74 million acres of land. If we can control soil erosion on those millions of acres, we can improve Mother Nature’s health throughout America. Spreading knowledge and making people aware is the first step to recovering soil health. Therefore, you’ve done your part in helping our planet out. Before reading this article I really had no idea just how big of a role the U.S. played in soybean production and distribution. I assumed it to be large, however I did not think they were the number one producer and exporter in the world. I’m happy to see that the EPA is making a bigger issue about the contaminated Mississippi River. I also did not know until reading this article that the Mississippi River is the biggest leading contributor to the “dead zone” in the Gulf of Mexico. I also assumed the soybean production by the U.S. was dedicated primarily to food production, not oil and feed production. Even though this was a short article I still learned a decent amount of material from it. This article is very interesting to read. It is disappointing, but not entirely surprising that there is resistance to change and fear of regulation in these areas. I do find it surprising that farmers would not want to implement BMPs to prevent soil erosion and in turn invest in their land for the future. This short sighted mindset is clearly having negative effects regionally, as the dead zone continues to exist in the Gulf. I hope that it doesn’t take the appearance of more severe local effects to really push for change. To be completely honest I did not know much about the soybean, except for like you said in the beginning that they were used for making tofu. After reading this blog post I learned that they are much more then that. I was surprised to hear about all the negative affects it has on the land and the Gulf, but I can not say I was shocked. After being in class I have been able to see that farming and the idea of runoff and crop rotation is a huge issue in the United States. It was good to hear that the EPA is trying to make some changes, but now it is up to education of farmers and proving that things need to be changed before they get even worse for the country. I’ve seen poor management of soybean fields near my home for many years. Even on relatively flat ground water makes quick work of uncovered soil. Having said that, I’ve seen more and more techniques used to prevent erosion. That would be good reason for the Midwest farmers to take a look at what we have going on here and taking that knowledge home to inspire better alternatives to current practice. It is even more critical to have Midwest farmers become better managers of bean fields. The land they farm comprises a gargantuan area and a big farm in Virginia is a pittance to farms in Western states. So, I’m glad they’ve come here to see how we do it, and make positive changes to their practices. I read your OPED piece for the Bay Journal News Service along with this article and both were very interesting. Some of the uses for soybeans are stunning (ex. shoes ? ), but it’s upsetting to see soil erosion and the use of pesticides outweigh the development of conservation practices. What really acquired my attention while reading this was that there was a delegation of soybeans growers sent to find out what Chesapeake Bay farmers were doing to restore the bay. Has anything been concluded/documented from this visit? Sean, thanks for reading both. A news reporter published an article in a Midwest ag newspaper and he blasted our farmers for what “we made them do”. Given that there is so much agricultural information publicly available, why is it that BMP’s are not almost ubiquitously practiced throughout the United States? I think we should pit the Gulf Coast fishing industry against agricultural mega-corporations. Let those Louisiana shrimp trawlers know just how badly the farmers are screwing over their harvests and have their lawyers sue each other. Once the corporations and businesses start losing money in Louisiana from the loss of ecosystem services due to environmental degradation I think people will take their heads out of the sand but I hope they realize it all before it is too late. I also have to question the wisdom of even cultivating soybeans in the first place. Tofu is tasty but it is STILL a processed food and there are so many concerns about the health effects of soy, do we really need 75 billion acres of it? Is it healthy to be feeding our livestock soy? I actually had no idea soybean production so prevalent in the US. I had figured soybeans were only used for food and feed, I didn’t realize the oil industry has a hand in this as well. It’s a shame that soybean production has played a major role in the eutrophication of the gulf, but hopefully we’ll see some major changes in the way farmers use their land in the near future. This was an informative read as I did not know that soybeans were such an abundant crop and fuel source for the U.S. It is shocking that farmers are still using older farming techniques that create erosion after tragedies, such as the Dust Bowl, have occurred. You would think that the people involved in the growing and selling of these crops would learn from history. It is good to know that Midwestern farmers traveled to the east coast and learned about practices that will cut down on soil and water pollution through runoff. Hopefully, their new insight will improve the health of the Mississippi and eventually, maybe remedy the Gulf of Mexico. I enjoyed reading this article. It is important to not just point fingers at one problem, such as “King Corn”, but to raise awareness of the environmental degradation associated with agriculture as a whole. It is discouraging that farmers are not more eager to use sustainable, soil building practices such as contour farming and cover crops when it would be greatly beneficial to them, future farmers, and downstream neighbors. I did not know prior to reading this that most soybeans grown in the US are used for livestock feed and oil. This high demand cannot be continued to be met for future generations if practices are not changed. This is an issue that needs to be more regularly discussed and brought to the public’s attention so these practices of reducing soil erosion become commonplace instead of suggestions. After reading this article, it has occurred to me that an area I have visited quite often most likely has this same problem with soybeans and poor management practices associate with the crop. 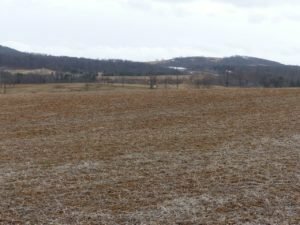 I did a bit of research and the conservationists who work at Antietam National Battlefield claim that they are crop rotating and using conservative tilling/nutrient methods, but I have never seen a different crop on a number of the fields I worked on. 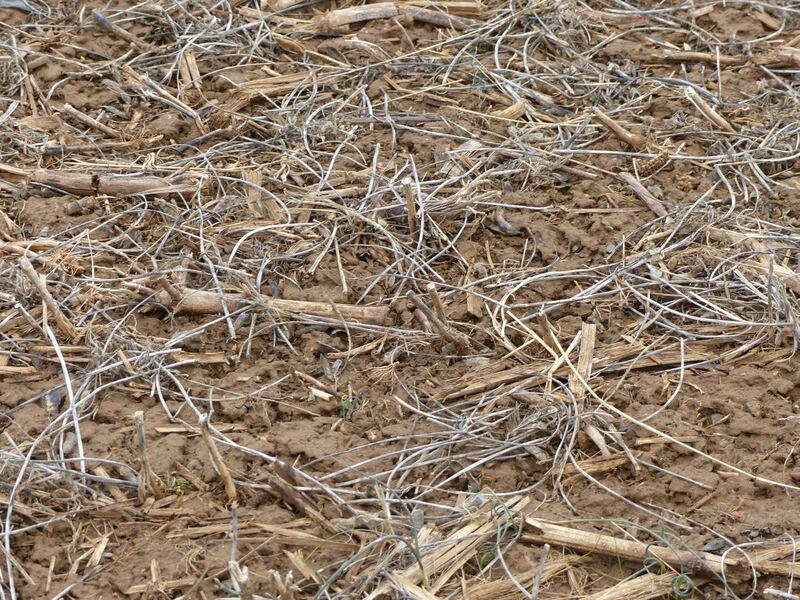 However, the weather there probably keeps many of the dead soybean plants from degrading as fast in the winter. I should mention that these soybeans are not harvested for any purpose, merely there for soil purposes. Although there wouldn’t be a root system there to help keep the soil in place, does the prolonged presence of the dead soybeans keep a lot of that hard hitting precipitation from washing top soil away faster? I know that when I visited a few times in the winter, the soybeans were still frozen there, covering almost the entire ground. Seems to me there is a bit of a trade off between the erosion caused from lack of anchorage and what can be spared from the lack of high speed degradation at low temperatures. However, I understand that crop rotation is important, even without a cover crop being used. I should probably look deeper into the extent of the conservation methods used for this national site. The topic of soybeans is a very interesting subject to learn about. I did not know anything about soybeans before this read and this was very informative. It was a shock to read that the United States is the number one soybean producer and exporter. I never would have connected the fact that soybeans are grown to make oil as well as livestock feed. After reading everything that can happen by planting soybeans such as soil erosion, I do agree with the examples given on how to fix it. We should definitely plant cover crops, reduce tillage, and plant on the contour. I was very surprised when I found out that soybeans are the second highest produced crop in the U.S. because typically when you hear about American agriculture, you only hear of corn production and the impact it has on the environment. I suppose corn is the United States poster child for agricultural land degradation because it is the highest produced crop and is found in most grocery store products but soybean production seems to go unrecognized by the public because it does not directly influence their food products (not including feed stock). My ISAT Capstone project mission is to grow bio-diesel producing algae, as an alternative fuel source to fossil fuels. After doing research on this subject, I have learned that using algae as an alternative fuel is extremely useful because it has many features to offer that others lack. Such features include: growing algae offshore rather than a crop on fertile land, using algae to absorb excess nutrients from crop run-off, algae produces a higher percent of bio-fuel per dry weight than any crop, some types of algae strains are capable of doubling their population within 24 hours and certain strains produce feed stock by product. Even with all these great features we have not found an energy efficient way to harvest algae and perhaps that is why we are unable to progress from the current out-dated methods. Alex, thanks for sharing the information about your capstone project. Very exciting! Definitely an interesting read! I was not aware how large the soybean industry actually is in the United States. It seems that if all the farmers in the country were to adopt even just some of the best management practices that you mentioned, then we might be able to greatly reduce the dead zone in the gulf and the nutrient build ups in our rivers and streams. I think that educating the farmers on the side effects that the pesticides and fertilizers are creating, and giving the farmers incentives to use BMPs can change some of the poor impacts of the large production of the Queen Bean. I was surprised to see just how much soy beans the U.S. produces. We all know the large amount of corn we produce, but I would have not thought that soy beans would be number two. Farmers cannot let their desire to make more money by growing more of the “cash crops” blind them to the damage they can cause by not using sustainable farming practices. Without implementation of practices such as contour farming, no-till farming, and crop rotation Farmers would lose more than just a little profit. In the long run without sustainable practices the fertile soil that farmers need to grow their crops would be gone and the farmers would lose everything. It can be hard to convince farmers that their soil runoff and crops are causing immense damage as far away as the Gulf of Mexico. Even on a much smaller scale farmers in the Chesapeake Bay watershed still fight regulations because they do not see it as their problem since they are so far removed. Soy beans may be a cash crop but the unsustainable cultivation of them is to costly to the environment and needs to be changed to conserve soil and re-mediate the Mississippi watershed. If all farms were ran with planting cover crops, reducing tillage and planting on the contour so many of our agricultural issues could be quickly improved. Education is the key to turning over to better management practices. By practicing these techniques in the short term our long term health of the soil will be of huge value! Teaching others to understand this sustainability frame of mind is our biggest challenge. It’s incredible how simply planting on the contour can reduce erosion in half and vastly increase the amount of water retention and penetration into the soil, which, obviously, is great for plants! I imagine many industrial farmers would still scoff at the idea of contour farming, despite the benefits, because the culture is so deeply ingrained. To prevent and address problems like the massive hypoxic zone in the Gulf of Mexico and the overabundance of carbon in the atmosphere, we need to reimagine the agri-cultural culture in this country.